Pretty Riddles - A fun riddle game with an elegant design. All games don't have to be ugly. Solve riddles that are pleasing to the eye. We compiled and collection of riddles with varying degrees of difficulty. We present them to you with beautiful photos and stunning typography. It's a game, it's art and it's fun. 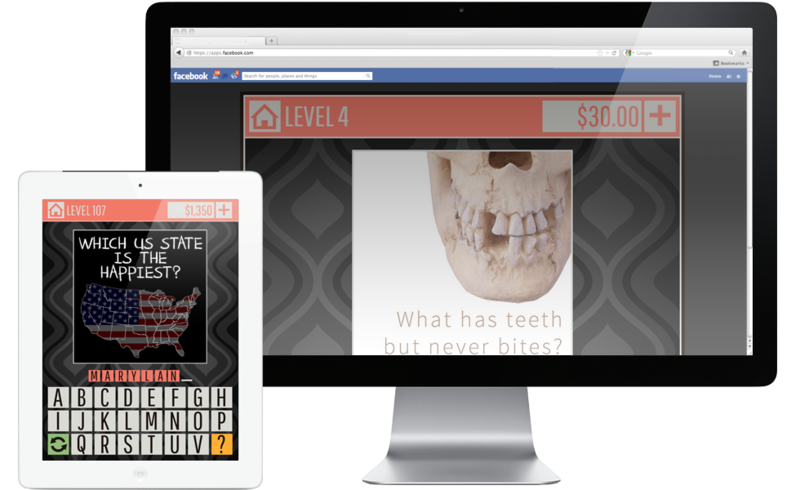 Each level features a new riddle presented as a social media share-worthy graphic. Your objective is to solve the riddle. The photo in the graphic may or may not help you. We'll provide you with the letters and even tell you how long the word or words in the solution are. Get answers and help for Pretty Riddles on Facebook. Connect with Pretty Riddles on Twitter.